Marc is a twelfth-generation Texan and is proud to call San Antonio home along with his wife, Denice and their four wonderful children. After graduation from UT Austin with B.A. in journalism he returned home to San Antonio to attend St. Mary's School of Law and received his JD in 1989. His legal career began in the Bexar County District Attorney's office where he successfully tried over 90 jury trials and hundreds of non-jury matters. In 1993 after leaving the DA's office, he joined Branton & Hall where he litigated personal injury, product liability, medical malpractice, premises liability, wrongful death, and negligence cases. 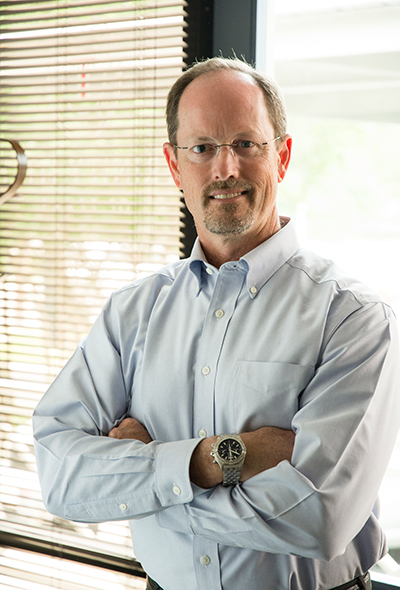 In 1998 he decided to hang his own shingle with a solo practice focusing on litigation both civil and criminal while continuing to build a growing defense litigation client base in Bexar County as well as South, Central and West Texas. In 1999 he joined with Jamie Parker and Jerry McDowell to form McDowell, Parker and Notzon, where his practice included defense of nursing home litigation, premises liability, auto liability and oil and gas cases. From 2008 to 2014 Marc served the City of Olmos Park as a Presiding Judge for the Municipal Court in a part-time capacity presiding over traffic and code violation cases. Attend our four children's various events.